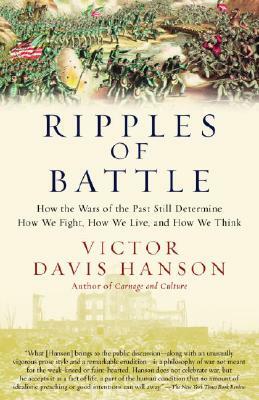 Victor Davis Hanson is the Martin and Illie Anderson Senior Fellow in Residence in Classics and Military History at the Hoover Institution, Stanford University, a professor of Classics Emeritus at California State University, Fresno, and a nationally syndicated columnist for Tribune Media Services. He is also the Wayne & Marcia Buske Distinguished Fellow in History, Hillsdale College, where he teaches each fall semester courses in military history and classical culture. He is the author of The Soul of Battle, An Autumn of War, and Carnage and Culture, all published by Anchor Books. His most recent book is The Savior Generals (Bloomsbury 2013). Hanson was awarded the National Humanities Medal in 2007, the Bradley Prize in 2008, as well as the William F. Buckley Prize (2015), the Claremont Institute’s Statesmanship Award (2006), and the Eric Breindel Award for opinion journalism (2002). He divides his time between his farm in Selma, CA, where he was born in 1953, and the Stanford campus.